Nintendo has announced plans to bring Mario Kart to smartphones. Dubbed Mario Kart Tour, the all-new racing game will launch sometime between April 2018 before March 2019, Nintendo confirmed. There’s currently no word on whether the mobile version of Mario Kart will be free-to-play. The Boeing 777 represented the first all-new airliner to be delivered since the 767 in 1982. We’ve had no word from Brian yet. He sent word that they had arrived safely. Word of the incident spread quickly. Has there been any word from Paul since he went to New York? We got word of their plan from a former colleague. We were excited when word of the discovery reached us. 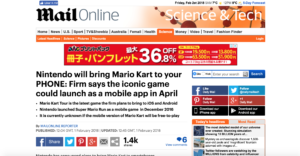 Given that Nintendo’s last Super Mario smartphone app charged players an £9.99 ($9.99) to unlock all of its content, it seems likely players will have to pay to access Mario Kart on-the-go. Mario Kart Tour is expected to launch on iOS and Android phones. Previously, Nintendo has prioritised iPhone users, debuting its mobile games on Apple’s platform before rivals. However, it’s unclear whether this will be the case with Mario Kart Tour. Given his age, he’s in excellent physical condition. Given his age, he’s a remarkably fast runner. Given (the fact) that he’s had six months to do this, he hasn’t made much progress. Given that conflict is inevitable, we need to learn how to manage it. They charge you $20 just to get in the nightclub. The local museum doesn’t charge for admission. I think they charge too much for football tickets. You will be charged a small fee for food and lodging. They charged us £20 for three drinks. How much/What do you charge for a haircut and blow-dry? I’ve been on the go since six o’clock this morning. Elise is always on the go. Like most working mothers, she is always on the go. We need to learn to prioritize. You must learn to prioritize your work. The committee has to prioritize the school’s needs. You have to prioritize in this job because you can’t do everything. Nintendo announced the news on Twitter. ‘The chequered flag has been raised and the finish line is near,’ the Kyoto-based company tweeted. 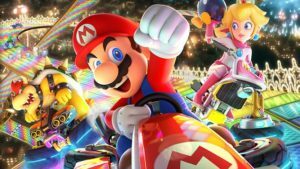 Mario Kart sees players race on gravity-defying tracks as their favourite characters from Nintendo’s back-catalogue, including Mario, Luigi, Link, Yoshi and Princess Peach. 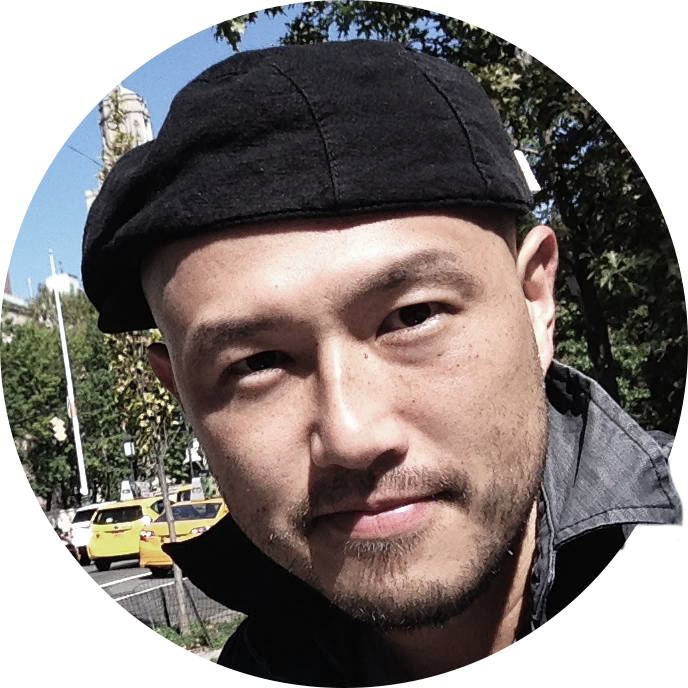 His work is mainly in software development. The company continues to benefit from offering a huge back catalogue of music rather than just stocking new releases. 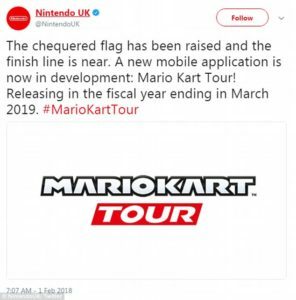 Mario Kart Tour is the latest in a line of classic video game properties the company plans to bring to iOS and Android devices. Nintendo launched Super Mario Run in December 2016, followed by a smartphone version of its Animal Crossing franchise in October 2017. According to a report by The Wall Street Journal, Nintendo is quietly working on a Legend Of Zelda adventure for smartphones and tablets running iOS and Android. Nintendo has not confirmed the existence of the fan favourite, which rumours suggest will launch later this year. The news comes as Nintendo almost doubled its full-year operating profit forecast on Monday as it reported strong sales of its new Switch game console. Sales of the all-new console, which includes its own version of Mario Kart and Legend Of Zelda, have exceeded the company’s estimates and outstripped those of its predecessor, the Wii U. ‘We’ve boosted Switch production to meet strong demand as it was difficult for customers to buy the consoles at retail stores,’ Nintendo President Tatsumi Kimishima said at an earnings briefing, adding the firm misjudged demand. Most of the kids had a Playstation, Xbox, or other game console. Car dealers worry that demand will outstrip their supply. The demand for food in the war zone now far outstrips supply. Demand for organic food was outstripping supply. This system is much more efficient than its predecessor. My predecessor worked in this job for twelve years. The latest model is faster and sleeker than its predecessors.